During the 1970s, extensive research was carried out in Canada on air leakage in buildings. Researchers at the National Research Council (NRC) demonstrated the importance of managing air leakage through the building enclosure. In the following decade, the concept of air barrier material emerged and was formally introduced in the 1985 edition of the National Building Code of Canada (NBC). It was then known that uncontrolled air leakage increases the burden on heating or air-conditioning, and causes problems because air can transport large amounts of humidity. Building professionals adapted their designs to this new reality, but the appropriate choice and positioning of materials in assemblies brought new challenges, with the functions of air barrier and vapour barriers often misunderstood. Consequently, major failures such as mould growth in wall assemblies, rotting of structural materials, or bursting of water-saturated exterior cladding materials in winter were observed. Starting in the mid-’90s, NBC prescribed a maximal air leakage rate for exterior wall assemblies, but did not indicate how to evaluate materials and systems to determine compliance. Interestingly, standards for air barriers appeared first at ASTM with the development of the E2178, Standard Test Method for Air Permeance of Building Materials, published in 2001. This standard rapidly became the reference for the determination of air leakage of building materials. 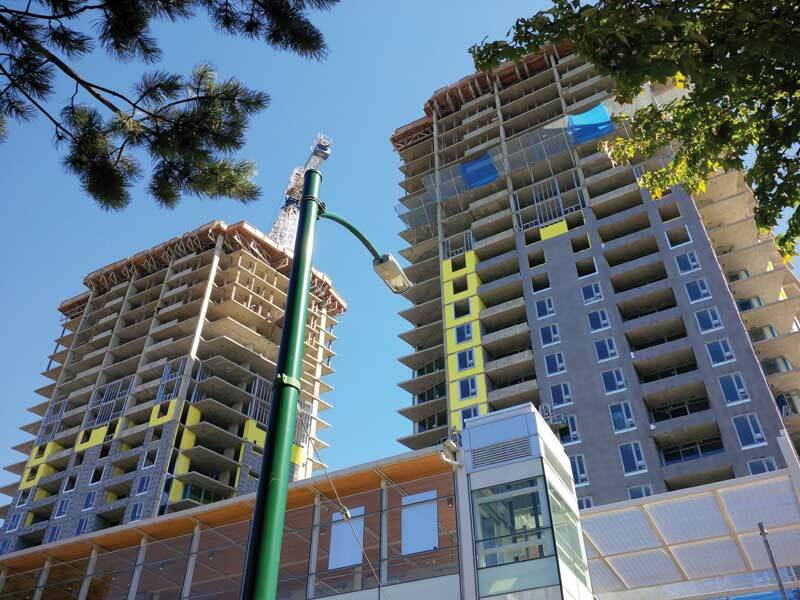 In Canada, the first standards related to air barrier materials and systems appeared several years later. CAN/ULC-S741, Standard for Air Barrier Materials−Specification, and CAN/ULC-S742, Standard for Air Barrier Assemblies−Specification, were published in 2008 and 2011, respectively. Some may say these are just Canadian versions of the ASTM E2178 and E2357, Standard Test Method for Determining Air Leakage of Air Barrier Assemblies, because they reference their U.S. counterparts for test conditions. However, that is all they have in common. Testing an air barrier material as per ASTM E2178 or an air barrier assembly as per ASTM E2357 provides a numerical result corresponding to the air leakage rate or permeance of the material or assembly. This result may then be used to compare various materials or assemblies, or to demonstrate compliance with building code requirements. Some say that both of the Canadian air barrier standards, CAN/ULC-S741 and CAN/ULC-S742, are just the north-of-the-border versions of their U.S. ASTM counterparts, but nothing could be further from the truth. What are S741 and S742? The Canadian standards CAN/ULC-S741 and S742 are specifications. Not only do they indicate how to measure air leakage of air barrier materials and assemblies (by way of references to the aforementioned ASTM test methods), but they each also include performance requirements. S741 and S742 therefore help designers and specifiers easily recognize the level of performance provided by air barrier materials and assemblies tested under S741 and S742. The S741 standard requires the result obtained from the air leakage testing be clearly mentioned when reporting in order to facilitate comparison between materials. It is not sufficient to simply indicate “pass” on the data sheet of an air barrier material tested as per S741. For air barrier assemblies, a five-level classification (A1 to A5) is included in S742; it is based on the maximum air leakage rate measured during the test. Today’s offering of air barrier materials is quite extensive, including products sold in sheet form (self-adhered or nailable) or liquids intended to be sprayed or trowelled. They can be manufactured from organic fibres or synthetic plastics, and be pre-assembled or site-constructed. Some rigid insulation boards can also claim to be air barrier materials. CAN/ULC-S741 allows the testing of all these different materials to determine their performance against air leakage. This standard is intended for materials themselves, without accessories and details, irrespective of their composition. It establishes the proper test method for air leakage and air permeance based on ASTM E2178, and mandates air barrier materials being tested exhibit air leakage rates no greater than 0.02 L/s•m2 (0.004 cfm/sf). Materials must meet this requirement in both directions (infiltration and exfiltration), and the test is performed before and after a conditioning/aging period during which the material is exposed to UV radiation then subjected to heat-conditioning. In order to meet the requirements of S741, the air leakage rate of the air barrier material after conditioning shall not be more than 10 per cent or 0.001 L/s•m2 (0.0002 cfm/sf) greater than its air leakage before conditioning. This ensures the air barrier material will maintain its integrity for a minimal period after its installation before being covered by the exterior cladding. 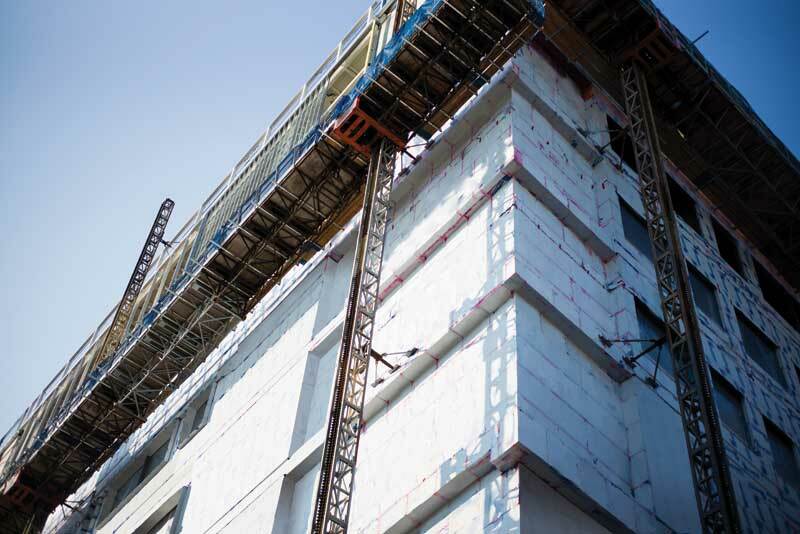 Thank you for writing this article, it is very informative and provides some great information regarding the comparison between the ASTM and CAN/ULC air barrier standards. One clarification I would like to point out is that there are pressure differences, both infiltration and exfiltration, performed to simulate wind loading when testing to ASTM E2357, and is not only a requirement of S742. These pressure differences are based design wind loads and the assumption that the air barrier will take the full wind load, and that it would see two severe storms in the first 15 years of service. The standard does incorporate sustained, cyclic and gust loads, up to pressures of 600 Pa, 800 Pa, and 1200 Pa respectively, along with a measurement of maximum deflection up to a load of 1440 Pa.